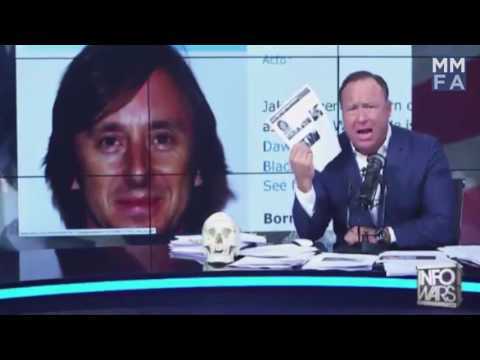 Alex Jones, the mogul for Infowars has recently found himself in a child custody case which has both sides questioning: who is the real Alex Jones? According to multiple sources, Jones’ lawyer said that he shouldn’t be judged by his radio broadcast persona, saying that, “he’s playing a character… He is a performance artist.” If the effort behind this claim is to make sure that Jones receives an unbiased judgement based on the evidence produced solely in court, then it is understandable why his lawyer would make this claim. The context for his wife’s comments on Jennifer Lopez can be seen here, where Jones says, “why don’t you go to Somalia for five minutes lady, you’ll be gang-raped so fast it will make your head spin.” Although this is clearly not a direct assertion that he wants Jennifer Lopez raped, it is still a questionable remark that he should have perhaps kept in his mind. Jones’ show draws an audience of millions, including President Trump himself, who made a visit on the Alex Jones Show over skype during his time as a presidential candidate. During this interview, Trump remarked that Jones had an “amazing” reputation, and that he would not let Jones down. Jones and President Trump have seemingly become friends and Jones even claimed back in January that he was offered White House press credentials. He stated in the same video that he simply needed to spend the money to send somebody there and that he needed to make sure the investment was worth it first. Alex Jones’ child custody trial is expected to last a couple of weeks. It is unclear how or if the case will affect the Alex Jones Show or further reports from Infowars.com. Samuel Fisher is a former public school teacher, and holds a B.A. in History. He is open-minded both politically and spiritually. He is currently a world traveler.